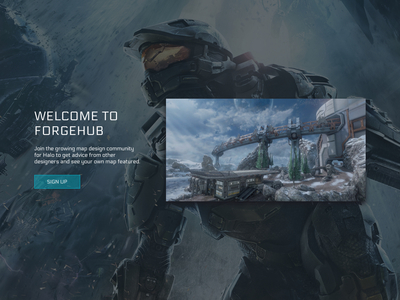 Since 2008, ForgeHub has been the very core of Halo's creative forge community. Their diverse team of talented designers are dedicated to featuring the best maps the community has to offer and providing detailed, insightful commentary on design topics. The forums house an extensive map database and provide forgers the opportunity to collaborate and interact with like-minded individuals. The client came to our team wanting a cutting-edge forum design and custom add-on development to support the growing community of map makers.